Produced by Jim with Blake Chancey in 1998 for BNA Records (making it his third album and his third record label), Whisper is one of his most traditional country records. Not coincidentally it is one of my favorites, but not only for the musical style. The song quality on this album is exceptionally high. One-time George Jones duet partner Melba Montgomery, another fine songwriter, helped Jim with my favorite song, ‘What Do You Say To That’, a charming love song notable for its truly gorgeous melody. It was to be one of George Strait’s Lauderdale-penned hits a couple of years later but Lauderdale’s original is lovely too. Strait and Wade Hayes both later covered the John Scott Sherrill co-write ‘She Used To Say That To Me’, another super song with an ironic edge to the lyric. Jim teamed up with Frank Dycus to write several songs. Twin fiddles introduce the fine ‘In Harm’s Way’, with its hindsight recollection of a romance which was always headed for disaster, just like the Titanic. Jim’s vocal’s have a high lonesome quality on the right song, and it works to perfection on this track. ‘Without You Here It’s Not The Same’ is another strong song regretting failure to see trouble before it hit the relationship. I also liked ‘Take Me Down A Path (My Heart Won’t Know)’. I didn’t like ‘Sometimes’ as much aurally, as its melody is more repetitive, but it is another well written song. The rhythmic ‘Hole In My Head’, written with Buddy Miller, is repetitive, unmelodic and my least favourite track. Jim wrote the remaining songs solo. The slow title track is a love song loaded with gorgeous steel guitar which would benefit from a cover by someone with a sweeter voice. ‘It’s Hard To Keep A Secret Anymore’ is an excellent song with Jim’s protagonist guessing his wife is cheating. ‘You’re Tempting Me’ is a pretty good song about initial attraction. The album closes with the bluegrass gospel of ‘I’ll Lead You Home’, featuring Ralph Stanley and the Clinch Mountain Boys – before Stanley’s career was revived by O Brother, Where Art Thou. This is a lovely recording. Overall this is a very strong album worth checking out. 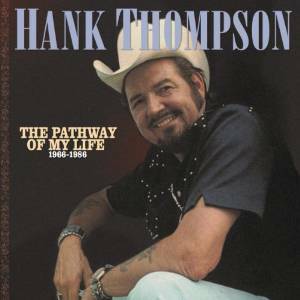 Removing the Shadow sounds like it ought to be Hank Jr.’s declaration of independence from his father’s legacy, but instead it is a song about forgetting an old love and moving on to a new relationship. It’s also the title track of Hank Jr.’s 1970 duets album with Lois Johnson. Lois Johnson was minor country artist who was active from 1969 to 1984. Her singles for MGM all peaked outside the Top 40, if they charted at all, and the label never released an album of her solo work. After moving on to 20th Century Records, she scored one Top 10 hit in 1975 with “Loving You Will Never Grow Old”. The mere fact that she was Hank Jr.’s labelmate is the most likely the reason she was paired up with him. Whether MGM was looking for a duet partner for Hank or just seeking to increase Johnson’s exposure is unclear. She had a pleasant voice but it was not very distinctive. As as a team, the two lacked the chemistry of the more successful duos of the era: Conway and Loretta, Porter and Dolly, George and Tammy. Hank Jr. needed to be teamed someone with the vocal prowess of a Melba Montgomery or a Connie Smith, but in those days labels limited their choices to someone who was already signed to their roster. Like many albums of the era, Removing the Shadow relies a lot on cover material. 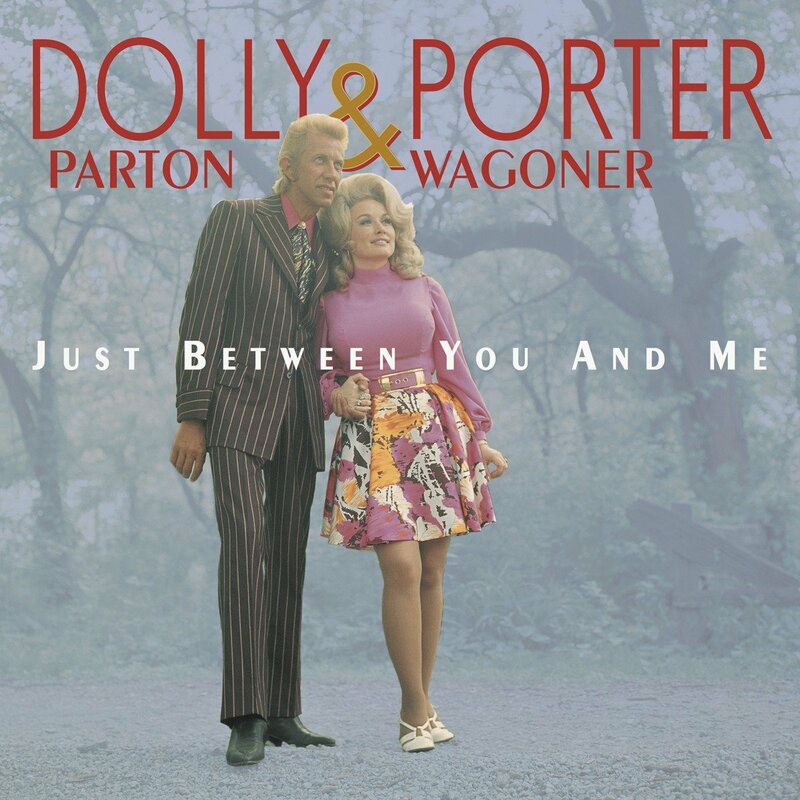 Lois and Hank tackle Johnny and June’s “If I Were a Carpenter”, “Why Don’t You Love Me” (the obligatory Hank Sr. cover), and “So Sad (To Watch Good Love Go Bad)”, a 1960 pop hit for The Everly Brothers, which has been recorded many times, including versions by Connie Smith in 1976, Steve Wariner in 1978, and Emmylou Harris in 1983. My favorite version is a 1986 album cut by The Sweethearts of the Rodeo with Vince Gill. No one has ever scored a Top 10 hit on the country charts with this song, but Hank and Lois came the closest, taking it to #12. The song is a particular favorite of mine and it’s easily the best cut on this album. “Removing the Shadow”, which is also quite good, preceded “So Sad” as a single, peaking at #23. I also enjoyed the Cajun-flavored “Party People” and the upbeat honky-tonker “Settin’ the Woods on Fire”. This is an album that has a lot of appeal to traditionalists; it contains very little of the countrypolitan trappings of the era and has plenty of pedal steel. This probably limited its commercial appeal, though it sold well enough that the duo released a follow-up album in 1972. Removing the Shadow peaked at #21 on the Billboard Top Country Albums chart, but it has never been released on CD. While a digital version could possibly appear in the future, I think it is unlikely, which is somewhat unfortunate. It’s not essential listening but the material is top notch. If you’re a fan of classic country and can find a used vinyl copy somewhere, it’s worth seeking out. As an aside, Lois Johnson’s last album was released in 1984. She died in Nashville in July 2014 at age 72. 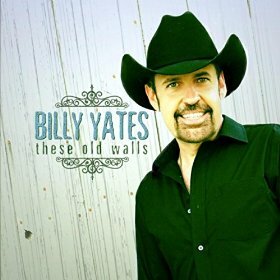 Singer-songwriter Billy Yates has released his latest independent album. As usual, it consist entirely of his own songs. Five of the songs involve veteran and onetime George Jones duet partner Melba Montgomery as co-writer. The steel-drenched title track sadly reminisces about a childhood home. This trio also wrote ‘She’s Got A Heart’, a nice love song. Billy and Melba were joined by Monty Criswell to write the semi-up-tempo ‘Fallin’ Over Myself’ which is pleasant but not all that memorable. I preferred their ‘It’s Just A Scratch’, in which he soothes the wounded pride of a lady who has been hurt in love. Miller and Billy wrote another couple together. He is torn about taking back an ex revisiting ‘Her Old Stompin’ Grounds’. The resigned ‘Carry On’ is about pretending to be over someone as a way of working towards really getting over her. Both are good songs. ‘Waiting For The World To Turn My Way’ was written with John Northrup. The perky tune about an optimistic attitude to a really bad day and a tough life, with sprightly honky tonk piano prominent in the mix, makes this thoroughly enjoyable. The closing ‘That’s All She Wrote’, written with Bill Able, is a breakup song in which the departing lady writes goodbye in lipstick on the wall. It’s a clever idea but the key is a bit too low for Billy in places, taking him down into a less attractive timbre. The only solo composition is the quietly religious ‘Potter’s Hands’. This is another excellent collection of songs from an underrated singer-songwriter whose music is always reliably genuine country. TAfter enjoying tremendous commercial success with 1994’s No Ordinary Man, Tracy Byrd stumbled a bit with the following year’s Love Lessons, which failed to produce any major hits. Of its four singles, only the title track reached the Top 10, peaking at #9. The album found him working once again with Tony Brown, who had produced some of his early hits from his debut album. First out of the box was the catchy line-dance number “Walking To Jersusalem”, which peaked at #15, a far cry from the #2-peaking “Keeper of the Stars” that had preceded it. The title track was the album’s biggest hit, but it is a bit dull and far from memorable. Much better is “Heaven In My Woman’s Eyes”, which sounds like something out of Merle Haggard’s catalog, but was actually written by Mark Nesler. I also liked “4 to 1 in Atlanta” which finds the protagonist preparing to visit Georgia in search of Ms. Right. Love Lessons is one of those albums which is neither great nor terrible, and thus not very memorable. It lacks the compelling material of its predecessor. Tracy still sounds a lot like George Strait on a lot of the tracks. All of the songs are at least good, and today they might be considered great, but they did not stand out in era in which country music routinely turned out much higher quality material than it does today. There is no “Keeper of the Stars” or “Lifestyles of the Not So Rich and Famous” on this collection with the exception of two numbers written by two of country music’s greatest songwriters: “You Lied To Me” by the great Bill Anderson and “Don’t Need That Heartache” by Kostas and Melba Montgomery. Both of these songs are head and shoulders above anything else the album has to offer. Love Lessons is not essential listening but is worth the small cash outlay required to obtain a used copy. Although she is primarily known as a bluegrass artist, Rhonda Vincent has moved back and forth between bluegrass and country a number of times over the course of her career. She’s done bluegrass albums and she’s done country albums, and she’s done albums that blended the two genres. This time around, instead of hybridizing the two styles, she has released a collection of twelve songs, six of which are bluegrass, and six traditional country numbers. In its physical form, the album was released on two discs, which seems a little odd when all twelve songs could easily fit on one. Both Willie Nelson and Daryle Singletary appear on the album as Rhonda’s duet partners. Interestingly, both appear on the bluegrass part of the album. Willie, who has had a hand in almost every musical style over his long career, is not particularly known for bluegrass, but he sounds right at home singing the title track with Rhonda. Singletary lends his vocals to a remake of “We Must Have Been Out of Our Minds”, a 1963 hit for George Jones and Melba Montgomery. One could argue that this one really isn’t bluegrass, but that would be nitpicking. Vincent and Singletary stick close to the original version and while this rendition doesn’t bring anything new to the table, it does give a deserving song a crack at reaching a new audience. Although I’m a huge fan of Rhonda’s bluegrass recordings, on this particular album, the country songs are where she really shines. The country half of the album kicks off with her original composition “Teardrops Over You”. The rest of the songs on the album are remakes of country classics — with plenty of steel guitar that will keep purists happy. She bravely tackles “Once A Day”, and though she does a good job, nobody can sing this song like Connie Smith. I like her take on another Bill Anderson number — “Bright Lights and Country Music” better. She pays homage to Emmylou Harris on “Beneath Still Waters” and to George Jones (again) on “When The Grass Grows Over Me”, my favorite song on the entire album, and then kicks up her heels on the closing track, a barnburner called “Drivin’ Nails” which was a hit in 1946 for both Floyd Tillman and Ernest Tubb. There are no surprises here, no real artistic stretches or groundbreaking moments, just some great bluegrass and country music. Sometimes that’s enough. This is the fifth in a series of short articles about artists who, although not country artists, were of some importance to country music. WHO WAS HE? : Gene Pitney was a successful singer-songwriter whose peak American success occurred during the 1960s. As a songwriter, Pitney supplied hits to a number of prominent artists including “He’s a Rebel” (The Crystals) “Today’s Teardrops” (Roy Orbison), “Rubber Ball” (Bobby Vee) and “Hello Mary Lou” (Ricky Nelson). As a singer, Gene was a very dramatic balladeer, whose powerful voice bought the songwriting team of Burt Bacharach and Hal David to prominence with such hits as “The Man Who Shot Liberty Valence”, “Twenty-Four Hours From Tulsa” and “Only Love Can Break A Heart”. “Only Love Can Break A Heart” was Gene’s biggest US pop hit, reaching #2, kept from the top, ironically enough by the Crystals’ recording of “He’s A Rebel”. All told Gene charted twenty-four tunes in the US Hot 100 with four songs reaching the top ten. Although Gene had considerable success in the USA, he was even more successful in the UK with eleven songs reaching the top ten including his 1963 recording of “That Girl Belongs To Yesterday”, the first ever hit for the songwriting duo of Mick Jagger & Keith Richards, and a #1 duet with Marc Almond in 1989 of “Something’s Got A Hold of My Heart”. Gene died of an apparent heart attack in 2006 while on a successful tour of Great Britain. WHAT WAS HIS CONNECTION TO COUNTRY MUSIC? : Gene listed Moon Mullican among his early influences. Although he was raised in Connecticut, he recalled listening to the WWVA Big Jamboree on some Saturday nights. Gene was the flagship artist for Art Talmadge’s Musicor label, which had only two consistently bankable artists in Gene Pitney and (after 1965) George Jones. Both artists were grossly over-recorded, often releasing five or more albums per year. Somewhere along the line, someone had the bright idea to record George and Gene together, releasing the records under the name ‘George & Gene’. This duo charted four songs on the country charts, the biggest being a #16 charting remake of the old Faron Young hit “I’ve Got Five Dollars and It’s Saturday Night” (it also reached the Billboard Hot 100). George Jones and Gene Pitney would record a total of seventeen songs together; however, all of their work together was in the recording studio as they never appeared in concert together. Gene would also have another duet country chart hit, this time with another Musicor label mate, Melba Montgomery, on “Baby Ain’t That Fine”. Gene and Melba recorded several songs together. Although Gene’s success on the country charts was limited, several of his pop classics were covered by country artists with success. Sonny James took “Only Love Can Break A Heart” to #1 Cashhbox/#2 Billboard in 1972 and in 1979 Kenny Dale took it to #7. Randy Barlow took “Twenty-Four Hours From Tulsa” to the top twenty in 1977 and several other artists had some lower places with covers of Gene’s hits, plus his songs show up as album tracks on country albums throughout the 1960s and 1970s. There is an official website where you can find out more about Pitney and listen to samples of his music. If you’ve never heard Gene Pitney, you’re in for a treat. He’s not really comparable in style to anyone I can think of, maybe somewhere between Jackie Wilson and Roy Orbison, but unique and distinctive. With the passing of George, all the radio heroes of my early childhood, except Ray Price, have gone from the scene. I can’t tell you exactly when I became cognizant of George Jones, as he seemed to have always been there. I remember radio playing songs such as “White Lightning”, “Who Shot Sam?”, “Don’t Stop The Music” , “Just One More” and You Gotta Be My Baby” during the 1950’s and liking the sound of the records, although not necessarily understanding what they were about. I can tell you when I became a real fan of George Jones and when I started understanding what his music was about. In 1961 I turned nine years old and lived across the street from a kid whose father manifested all of the bad behavior that was revealed in George’s songs. While many sang “the endless ballads of booze and broads” in those less politically correct days, George brought a depth of emotion that few could achieve. But while many singers mined those same waters, few were also as good at singing of other matters such as love and faith. Let’s face it, George Jones could sing even the most mediocre and most maudlin songs with convincing sincerity, so when he had good material to work with, the results transcended what everyone else was doing. For my money, the very best recordings George Jones ever recorded came during the 1960s. Yes, he became a more nuanced singer later, but he was already 98% at his nuanced peak and his voice was at its absolute peak. During the 1950s George recorded for Starday and/or Mercury (there were some collaborative efforts between the two labels) and while there was considerable youthful enthusiasm there, the polish had not yet been applied. Towards the end of his run on Mercury a few songs were released that heralded the direction George was going – “The Window Up Above”, “She Thinks I Still Care”, “Tender Years”, and “You’re Still On My Mind”. These songs exhibited a little more careful production than was often the case and were far more introspective than the usual “ballads of booze and broads”. While “You’re Still On My Mind” was not released as a single until after George left Mercury (and accordingly received no promotional push) it was an impressive effort and earned the songwriter Luke McDaniel some additional money when the Byrds included it on their Sweetheart Of The Rodeo album. You may well recognise the name of Jerry Salley from his many credits as a songwriter. If you do, you will know what a fine writer he is, but may not be aware he is also an accomplished singer in a bluegrass vein with an attractive light tenor, who occasionally releases an excellent record. His latest album is largely acoustic country with a strong bluegrass influence. He produced it himself, and recruited some excellent musicians and harmony singers to help out. Another classic-sounding heartbreaker comes with the Jim McBride co-write ‘He Carried Her Mem’ry’, about a man who can’t get over a lost love. He gives up by degrees on everything else in life , falling into drunken despair before eventually killing himself “the night that he carried her memory too far”. Bradley Walker recorded it in 2006 on his outstanding country/bluegrass album Highway Of Dreams, which really needs a successor. Opening track ‘Comin’ Home To You’, written with Chris Stapleton, is one of the less memorable songs, but sets a promising tone with its prominent banjo and relaxed happy mood as the protagonist changes his mind about leaving his loved one. ‘That’s Just Me Loving You’ is a pleasant love song performed as a duet with co-writer Lisa Shaffer. The title track is a mature reflection on “staring 50 in the eye”. It was written with Brandon Rickman and feels like a 20-years-on sequel to the latter’s similarly themed ‘So Long 20s’, which was on his excellent 2009 release Young Man, Old Soul. I really like this with its comfortable acceptance of age – and the growing confidence maturity brings. ‘Where I’m Coming From’ and ‘Back Then’ look back (mostly fondly) on the lessons learned from growing up in the south in a previous generation. The good-humored and perky ‘It’ll Get You Where You’re Goin’’ also looks back to teenage years, and the gift of an old car at the age of 16. The fiddle-led ‘Five O’Shadow’ talks sweetly about fatherhood and a little boy who wants to be with daddy whenever he is home. The first verse of ‘Amazing Grace’, performed with careful reverence by the Isaacs, leads into the equally sincere testimonial of ‘That’s All That Matters To Me’. 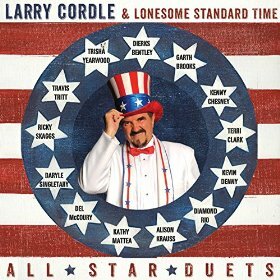 You can hear samples of several of the songs on Jerry’s website – which is also offering a deal to get both this album and its equally good predecessor, 2007’s New Songs, Old Friends, which features collaborations with Vince Gill, the Oak Ridge Boys, Rhonda Vincent, our current Spotlight Artist Ricky Skaggs and many others.